Medium straw green color. Exotic, smoky aromas of gooseberry coulis, mesquite, and baked pear with a satiny, lively, dry-yet-fruity light-to-medium body and a tingling, delightful, long yuzu spritzed honeydew, tamarind, roasted pineapple, and ripe mango finish with light oak flavor. A bright and welcoming Fume Blanc that nails the style. Bottom Line: A bright and welcoming Fume Blanc that nails the style. 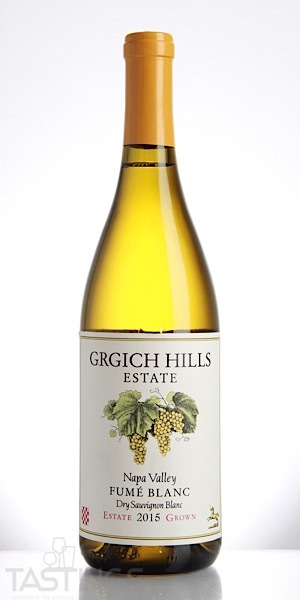 Grgich Hills 2015 Estate Grown, Fumé Blanc, Napa Valley rating was calculated by tastings.com to be 93 points out of 100 on 10/26/2018. Please note that MSRP may have changed since the date of our review.